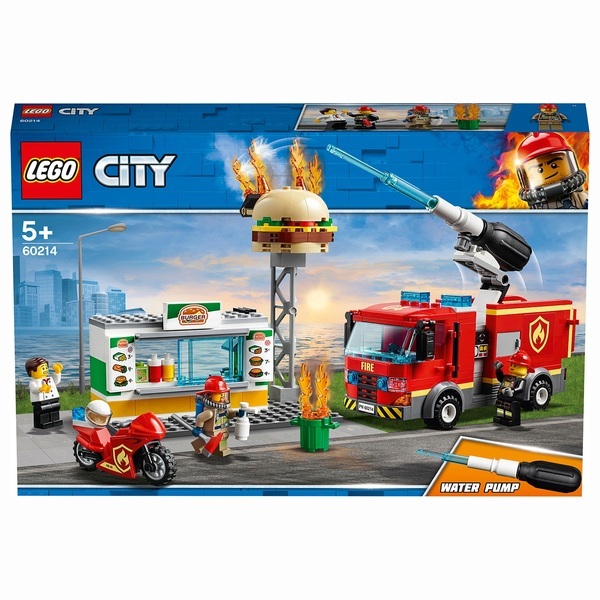 It's time to rescue the burgers with Lego 60214 City Burger Fire Rescue. When you arrive, aim the pump and start fighting the fire. Can you put it out before the burger shop burns down? Help your child learn to be a hero with this easy to build set!